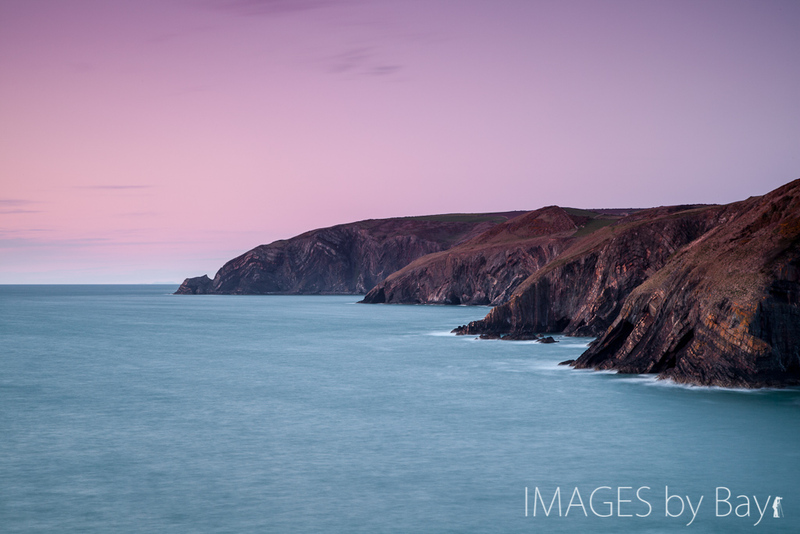 Image of a beautiful sunset at the Welsh coast. It is fantastic to travel along the coast of wales one cliff after another intersected by small beaches and ports. It’s amazing how much time you can spend at the sea – there is something magical about it. Maybe it’s the ever changing light, the wind, the rocks and the force of nature at it greatest. I can never seem to get enough and always love a walk by the sea with my camera – there is always something to photograph a spectacular landscape or a close-up or the waves and rocks. The photograph is captured under a beautiful sunset at the western coast of Wales. It is amazing so many great places along the Welch coast there such a beautiful scenery. Hope you will like this one.